From fresh produce drives to donating honey sale proceeds, Sue Bee is helping those affected by Kilauea. We’ve been sharing all sorts of sweetness in Hawaii this week! 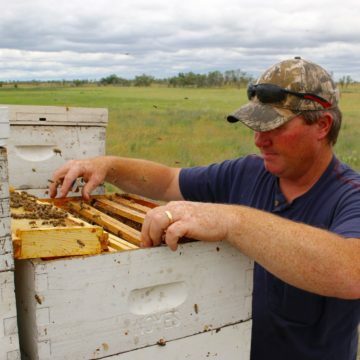 Literal sweetness, of course – honey samples and honey apple canapes – as well as the sweetness of giving back. But the sweetness sharing didn’t stop there. We were so impressed by The Food Basket, and moved by the need the eruption created, that we continued our partnership and hosted fresh produce drives benefiting residents displaced by the lava flows. Our first drive collected four full crates of fresh produce, and we collected three more on Wednesday. If you’d like to donate fresh produce, come find us at Hilo Farmers Market this Saturday, June 30. More donation drives will also be hosted at participating grocery stores throughout the weekend, so be sure to check the tour schedule at sharesweetness.com. We’d love to help the residents and beekeepers of Hawaii as much as we can! If you’d like to learn more about The Food Basket, visit hawaiifoodbasket.org. 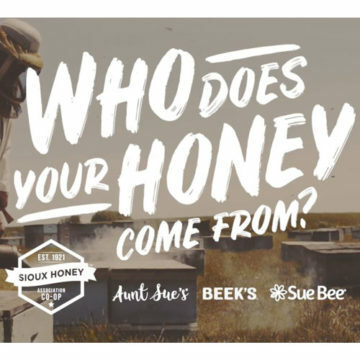 DISCLAIMER *Sioux Honey Association Co-op will donate up to $1,500 total from participating retail stops the weekend of June 29 through July 1.